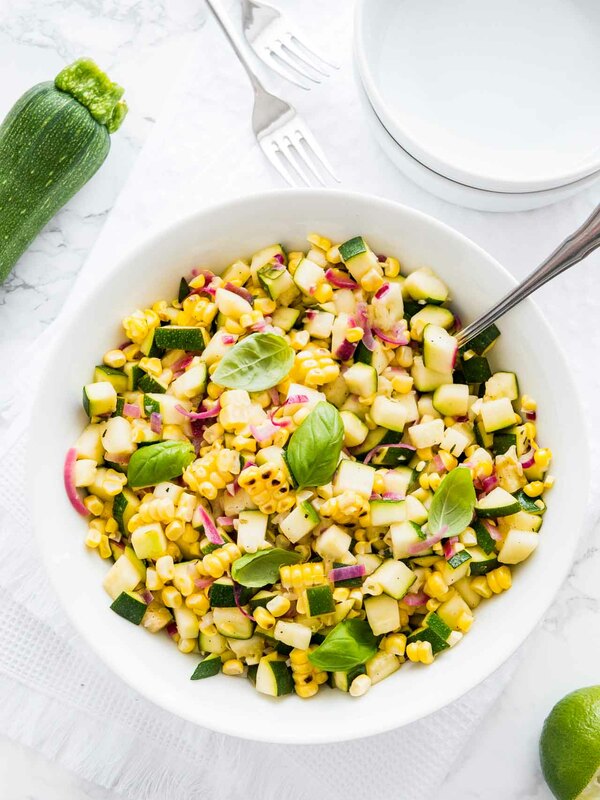 Roasted Corn Zucchini Salad is an easy but so flavorful vegetable side dish made with fresh corn, zucchini, and onions. A delicious summer salad that will dress up every meal. 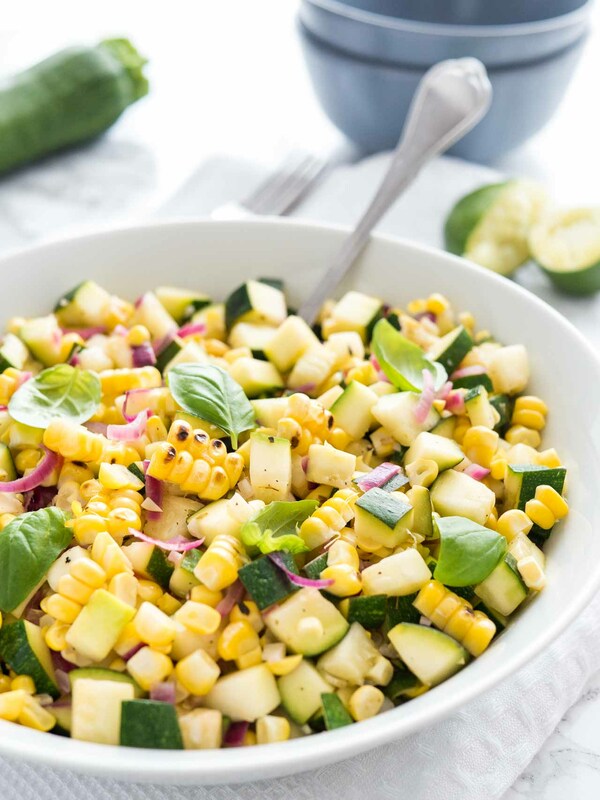 Roasted Corn Zucchini Salad is healthy and full of flavor! 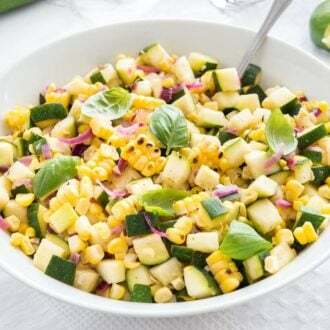 This colorful recipe uses some of my favorite summer vegetables and is quick and easy to make. 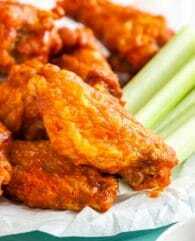 It tastes great warm or cold and is perfect for a summer BBQ but also makes a delicious and light lunch. 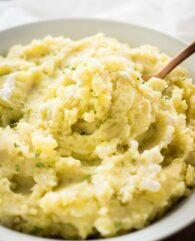 I made this easy dish two times last week and every time I had to eat fast or I’d have missed out. My hubby couldn’t get enough of it! So I wanted to share it with you because I think it’s a great way to use all those tasty summer veggies. This recipe will definitely come handy when you have an abundance of late summer produce or you make a bargain at the grocery store and don’t know what to do with all those zucchinis. This recipe can easily be doubled (or tripled) and is perfect for a summer cookout! You could even make the whole dish on your BBQ if you have a cast iron skillet. 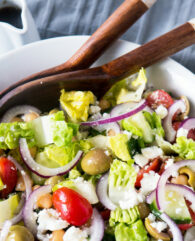 A great add-in for this salad is couscous, bulgur, or orzo. Prepare about 1 cup of dried couscous/bulgur/orzo according to package instructions and add to the salad. My husband always needs carbs for dinner so this is a great way to transform this salad into a more filling husband-approved side dish. 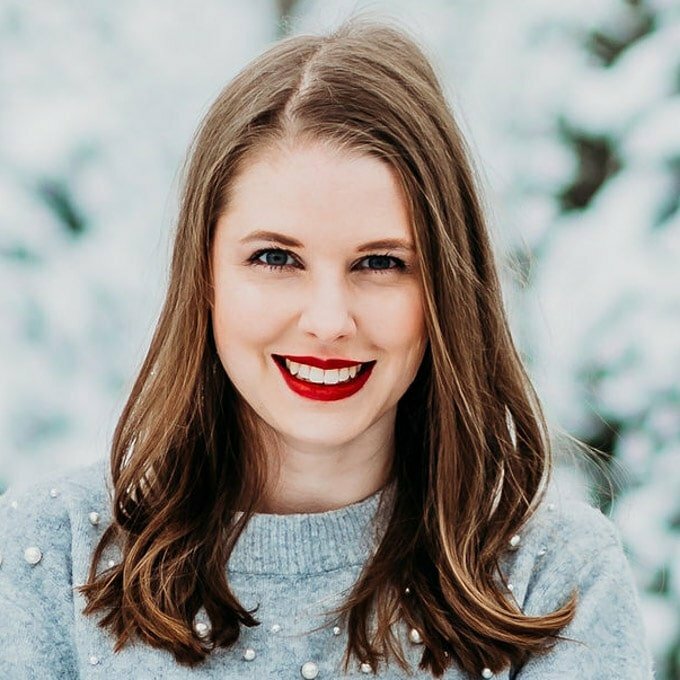 I like to use fresh corn on the cob in the summer and grill it on the grill or in a grill pan. But you can also use frozen corn and cook it in a hot cast iron skillet until nicely charred (no oil/single layer/3-4 min). 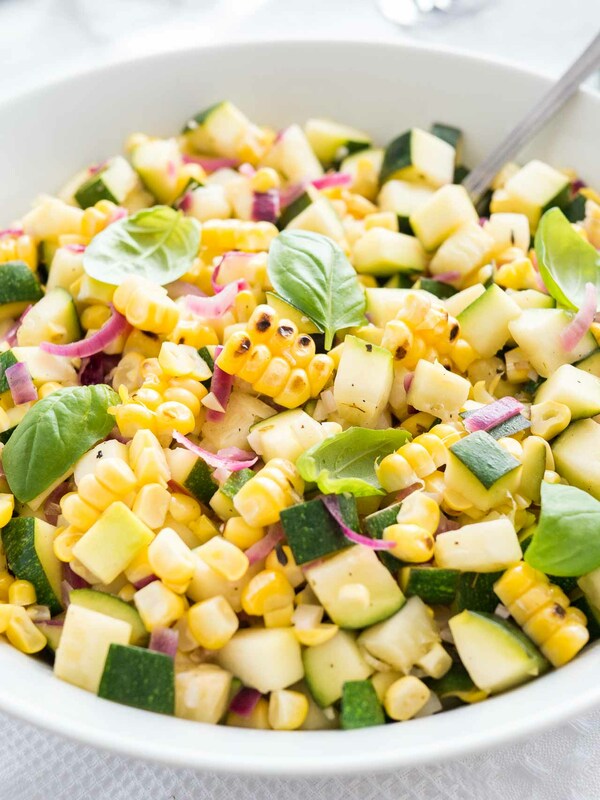 Or you can use roasted canned corn and just add it to the zucchini. It doesn’t get any easier than that! 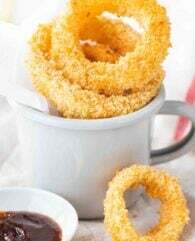 Red onions add a touch of color but you can also use sweet onions like Vidalia or yellow onions. 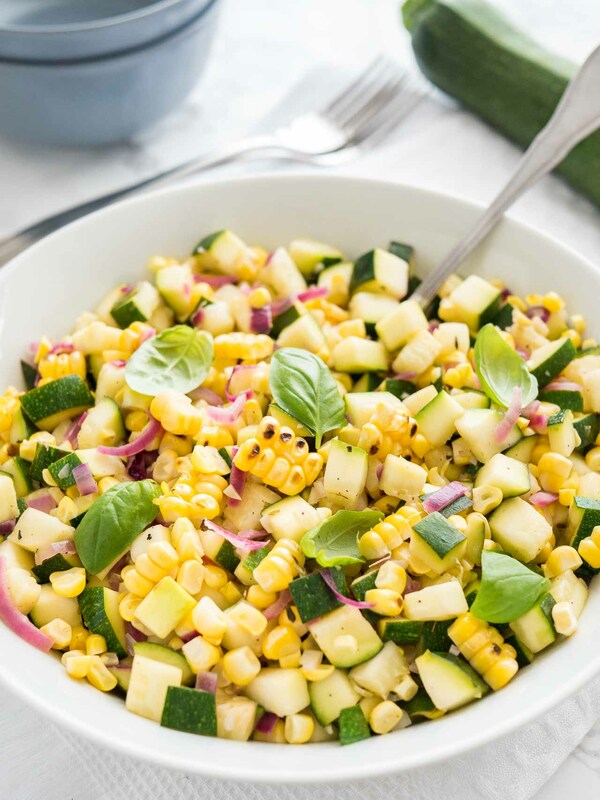 If you’re looking for more summer salads and side dishes, look no further! Or if you are looking for more ways to use up all those zucchinis from your garden you have to try my Chocolate Zucchini Bread Recipe. This easy chocolaty recipe is great to hide zucchini from picky eaters and tastes so good! from the same brand which I love. If you don’t feel like roasting fresh corn this fire-roasted canned corn is a great alternative. You can probably get it for less money at your local grocery store. its own dipped with fresh bread. 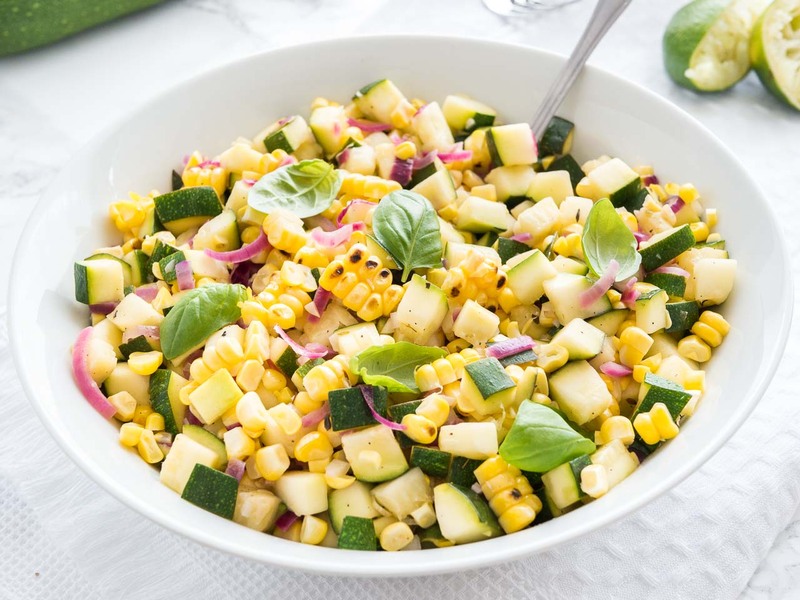 Roasted Corn Zucchini Salad is an easy but so flavorful vegetable side dish made with fresh corn, zucchini, and onions. A delicious summer salad that will dress up every meal. 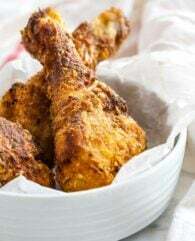 Read the tips and tricks above before making this recipe! Heat a large grill pan or use a grill. Brush the corn with 1 tbsp olive oil and season with salt and pepper. Grill over moderately high heat, turning, until crisp-tender, about 12 minutes. Let cool. Heat 1 tbsp olive oil and 1 tbsp butter in a large skillet over medium-high heat. Add garlic to the skillet, and cook, stirring frequently, until fragrant, about 1 minute. Add onion and cook until translucent, about 3-4 minutes. Add zucchini, dried oregano, and thyme. Cook, stirring occasionally until zucchini is tender and cooked through, about 3-4 minutes. Take the pan off the heat and stir in the juice of one lime. Let sit for a minute. Working in a large bowl with an inverted ramekin, use a sharp knife to cut the kernels off the cobs in sections. 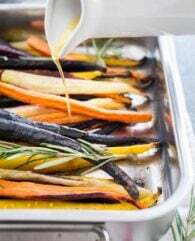 Remove ramekin and transfer everything from the pan into the bowl. Toss to combine, add basil, and season with salt and pepper to taste. Serve warm or at room temperature garnished with a few basil leaves. 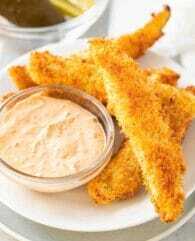 I made this recipe with a few veggie variations but am such a fan! Specifically the vinaigrette was ridiculously delicious and versatile. I’ve actually used the leftovers as a pasta sauce and it’s worked out really really well. I will continue to make this recipe but make the dressing in bigger quantities to freeze because it’s just too delicious. Thanks for this recipe!